Long winding roads over hills with wide grassy vistas lead down to the summer beach. Togs, salty fingers and sandy sandwiches. 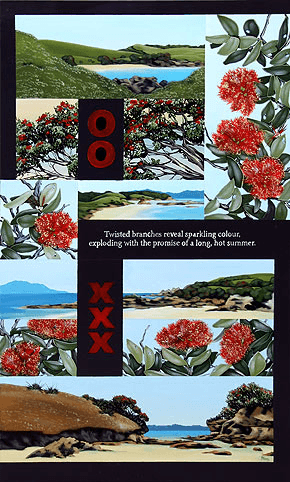 Twisted pohutukawa eking out a living from between rock cracks, invincible to the elements. Tough and scratchy with summer red fireworks exploding from each tip heralding a long hot summer.